[New York, NY] Puerto Ricans have served in the U.S. military since 1899, yet their experience throughout that long history has often been overlooked, misunderstood, and in some cases, misinterpreted. Now, however, that history will be accessible in an entirely new and innovative format. 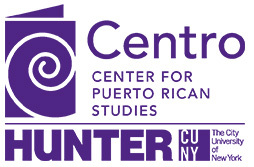 The Center for Puerto Rican Studies at Hunter College has launched the Centro eJournal, a new initiative devoted to the digital humanities. The first issue is dedicated to “The Puerto Rican Experience in the U.S. Military: A Century of Unheralded Service.” This digital exhibit will be hosted on the Centro website and contains eight chapters that span from El Grito de Lares in 1868 to the modern-day experience of Puerto Rican service members. Former Centro researcher Dr. Harry Franqui-Rivera led the project, which began in the Spring of 2016. The Centro eJournal is a blind, peer-reviewed publication embedded in the Centro web site and includes a companion article in Centro Journal describing and explaining each digital humanities exhibit. “This format gives a new meaning to my research and production,” says Dr. Franqui-Rivera. In recent years, there has been a resurgent interest in the experience of Puerto Rican soldiers. Much of this attention has focused on the 65th Infantry Regiment, more commonly known as the Borinqueneers, who were awarded the Congressional Gold Medal during a ceremony held last year. The digital exhibits published in the Centro eJournal are an effort to further interest in digital humanities covering a broad range of topics in Puerto Rican studies and to reach broader audiences. To do so, the Centro eJournal combines new digital humanities resources with new approaches to library and archival digital services. The next issue of the Centro eJournal will focus on a digital exhibit of Puerto Rican soundscapes. More specifically, it will examine the history, creation and reception of the musical genres of roots, jazz and classical music as each is adapted, interpreted and transformed by musicians within the United States and Puerto Rican diaspora. A call for digital exhibits for the Centro eJournal is forthcoming. Short, one page proposals should be send directly to Dr. Hernandez [alberto.hernandez@hunter.cuny.edu]. Digital humanities projects could qualify for Historical Preservation Grants. Find more information here.